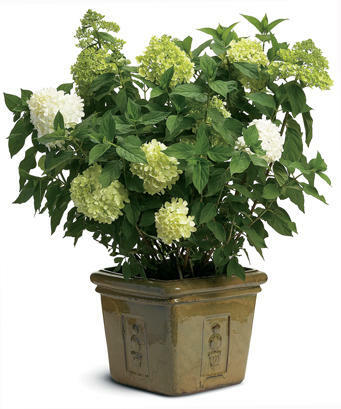 The myth, the legend, the plant: 'Limelight' hydrangea. 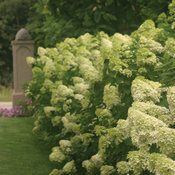 This unique panicle hydrangea revolutionized landscaping across North America. 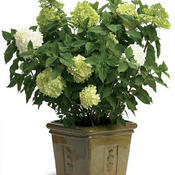 Huge, football-shaped flowers open in an elegant celadon green that looks fresh and clean in summer's heat. The blooms age to an array of pink, red, and burgundy which persists through frost for months of irresistible flowers. 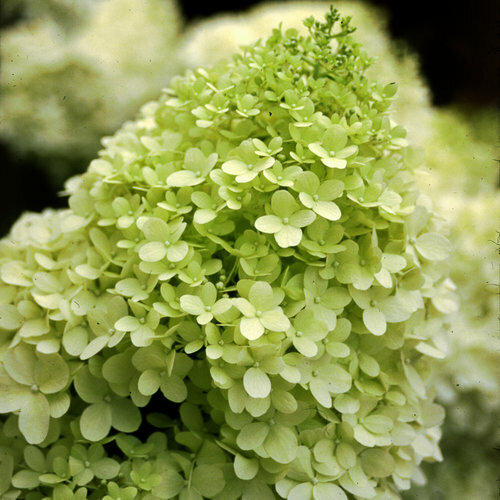 You can use 'Limelight' hydrangea just about any way you can imagine: as a showy flowering hedge, to screen off air conditioners, as an attention-getting specimen, in containers, flower gardens, or anywhere around your home. 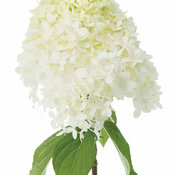 A long-time favorite of professional florists, it also makes an excellent cut flower, fresh or dried. 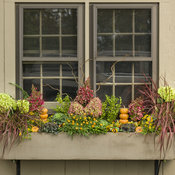 - Large flowers have a unique color that looks great with any style and color of house. 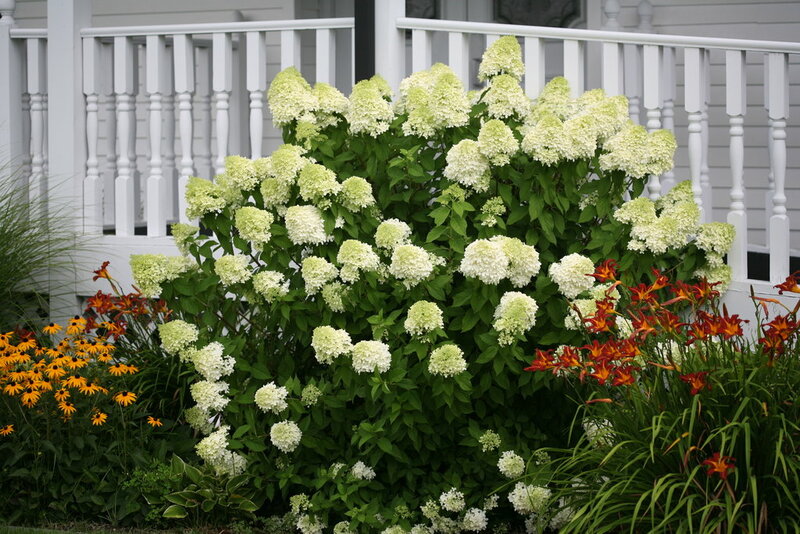 - Blooms every year, even in cold climates - winter doesn't faze it at all. 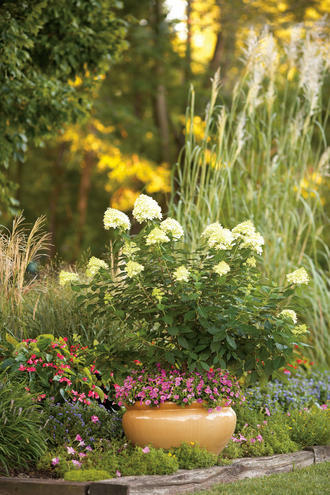 This extremely durable, long-lived plant is easy to grow. 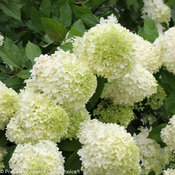 It likes full sun in cold climates, afternoon shade in warmer ones, but it does require well-drained soils that do not remain soggy for any amount of time. 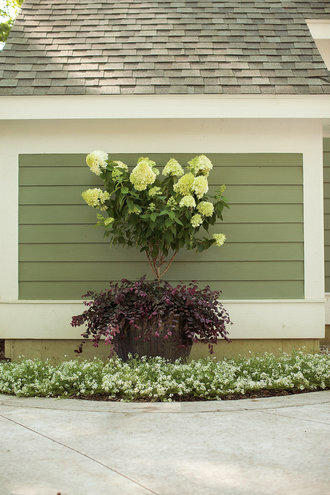 To prune, simply cut back by one-third its total height every spring. If you wish, you can apply a granular fertilizer formulated for woody plants (like a rose fertilizer) at that time as well. Absolutely love these Limelights!!! 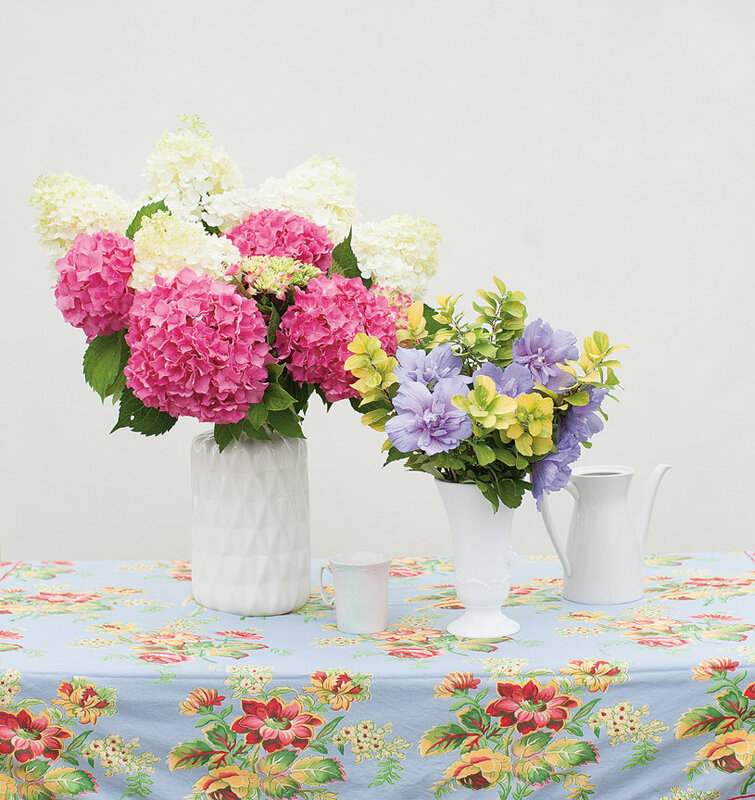 Easy to care for, gorgeous, massive blooms, breathtaking when in full bloom! They tolerate the sun very well and are very hardy. 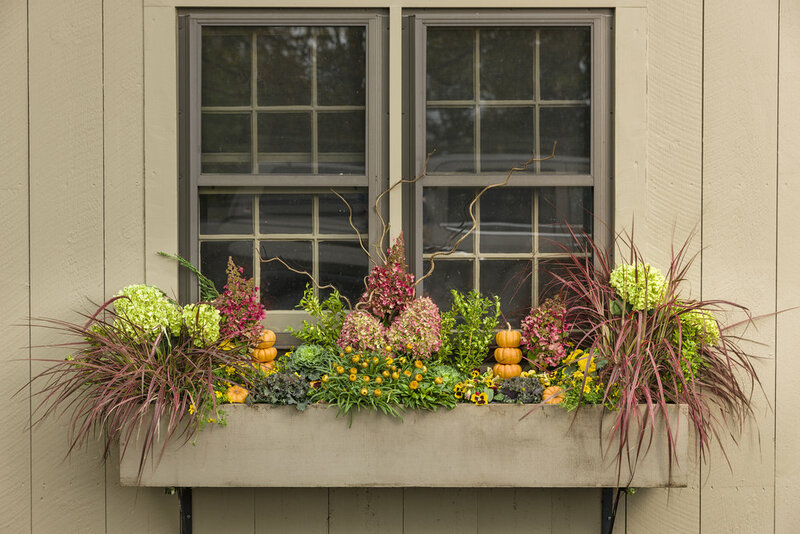 Easy to prune and care for in the spring. 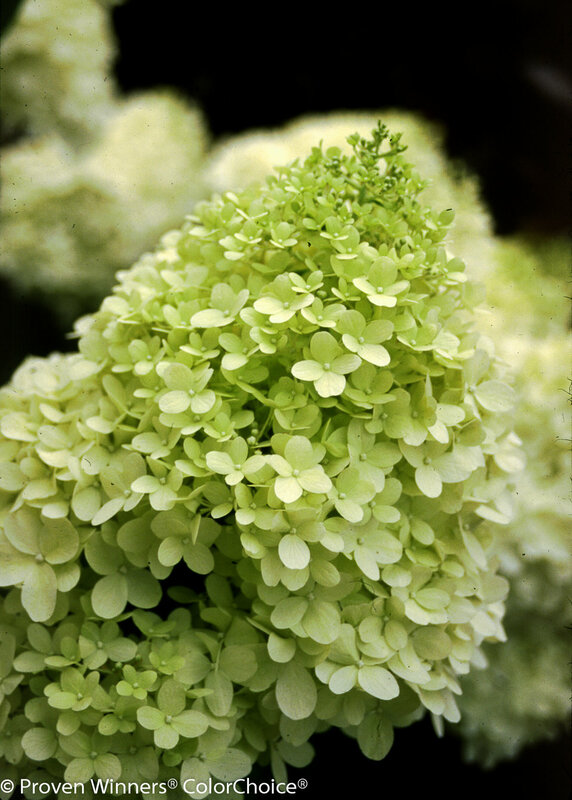 This hydrangea is by far the hardiest and easiest to grow. Just make sure it has plenty of space. 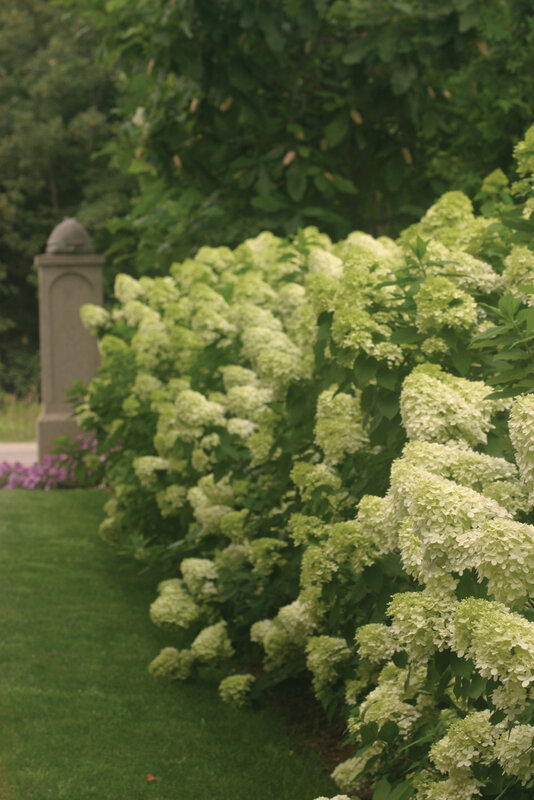 It has massive blooms that are prolific. Furthermore, the flowers are fantastic for drying. I love that it blooms at least until Thanksgiving in my area, ( southern Pennsylvania), it always an amazing sight! its planted in mixed borders and in parking lot islands. Im a commerical landscape designer and I use this plant the most. Very reliable. Very showy. 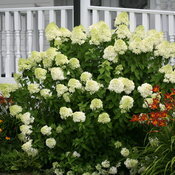 This plant is a fast grower and responds to pruning well. Consistently beautiful foliage and flowers. Like other hydrangeas the deer love it. The deer will devour it quickly and usually do so as the flowers start to bud out. They even worked it over after a good spray of liquid fence! It appears worth growing in high traffic deer areas because it grows so well and is resilient. As it grows so tall the flower heads stay out of the deers reach. 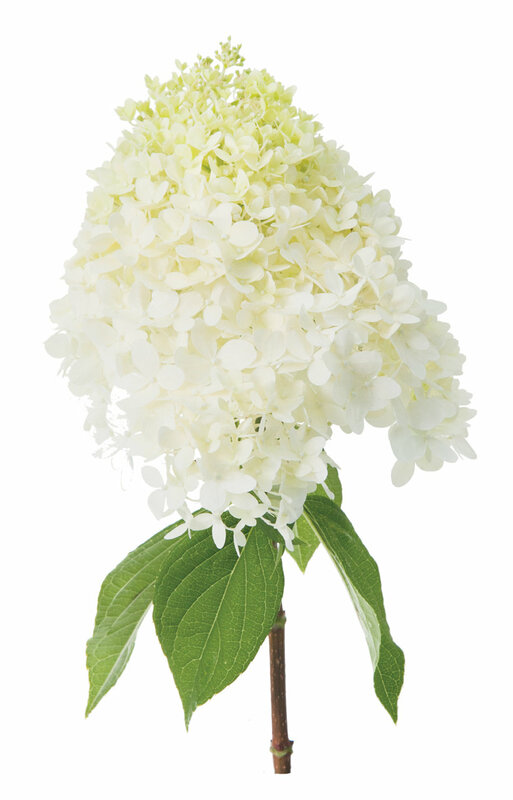 This is the only Hydrangea I have been able to grow. The blooms are gorgeous.